Showing recent results 4006 - 4020 of 4500 products found. Make automated testing more efficient and help developers and testers collaborate. This functional automated testing softwareformerly QuickTest Professional (QTP)helps deliver quality software at the speed your business needs. 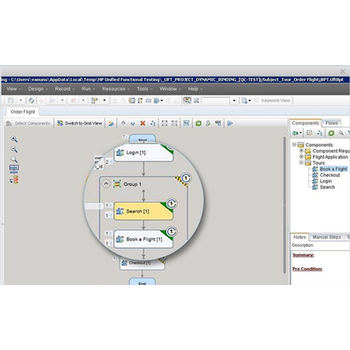 HPE UFT software automates testing through an intuitive, visual user experience that ties manual, automated, and framework-based testing together in one IDE. This far-reaching solution significantly reduces the cost and complexity of the functional testing process while driving continuous quality. 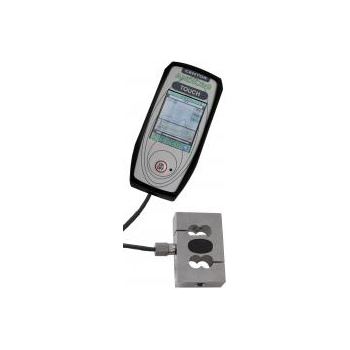 The Universal EFI Quick Probe is a battery-operated tester designed to quickly determine if a fuel injector is firing by detecting a mechanical vibration, such as a fuel injector's pintle movement.Simply press the 7" long probe tip against the injector body, adjust the sensitivity using the thumb-wheel and the bright LED strobe will flash each time the injector opens and closes. 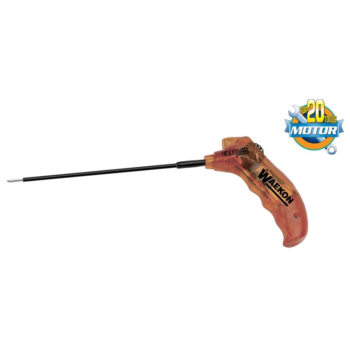 The strobe allows the you to determine if the injector is firing consistently, misfiring or not firing at all. Usability testing doesn’t have to mean an expensive, time-consuming study that you do once and forget about. With test IO, usability testing is simple and lightweight enough to perform continuously — like hallway testing for quick and actionable feedback on prototypes, new features, language, and workflow changes. Because our testers use real devices in the real world, you’ll know how variables like network latency and screen size affect the usability of your app — before you ship. R.S.T. Family - Ultra-X INC.
Memory is one of the most notoriously difficult core system functions to troubleshoot, exercise, and validate. PC's are not only being equipped with increasingly large amounts of RAM but their often complex system hardware and software configurations can make it even more difficult to determine if a problem is truly a RAM failure. Such problems vary with different combinations of chipsets, processors or motherboards. R.S.T. 4 Premium''''s capabilities far exceed those of stand-alone testers in meeting all of these challenges. Our range of function testers incorporates the latest developments in electrosurgical device testing, through to a proven high accuracy defibrillator analyzer with built-in pacemaker analyzer.The new Rigel Uni-Therm electrosurgical analyzer is a typical example of our commitment to innovating together. With your input, our new analyzer has become as versatile as you requested, yet with one of the smallest foot-prints enclosures on the market today. 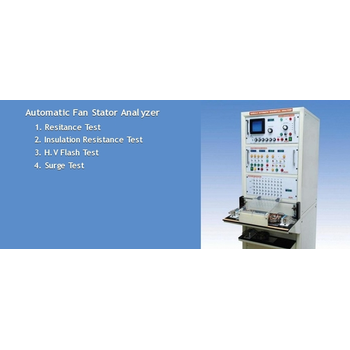 Automatic Fan Analyzer is the most comprehensive tester designed to automatically check the quality of fan wound stators in fast paced production motor shops. The tests are performed in the sequential order with the help of user-defined test times and limits. The Analyzer accurately detects the faults in the stator and audio/visual alarm indicates the type of fault to the operator. This Analyzer has been widely appreciated by many leading fan manufacturing companies in India such as Havells, Usha, Orient, Crompton Greaves, Yash Fans to name a few. Take control of all your simulations with the next-generation SpO2 pulse oximeter simulator, OxSim Flex. 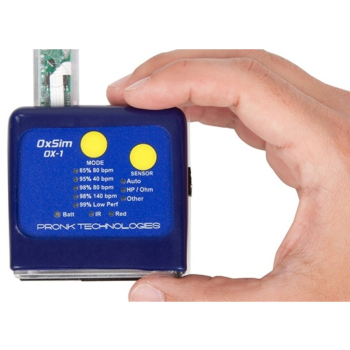 The world’s smallest SpO2 tester now provides complete flexibility in selecting saturation, pulse rate and perfusion index. 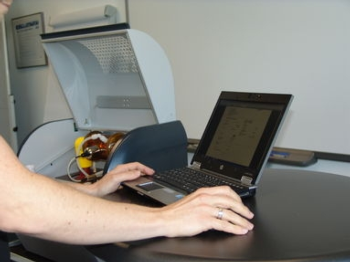 Users can create customized Preset Simulations for faster testing of oximeter performance and for alarm testing without having to change the monitor’s alarm settings! DTS offers both generic and custom PCB blanks for probe cards. 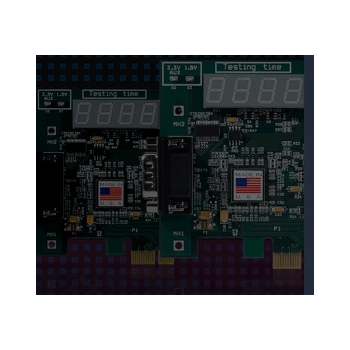 Probe card PCBs are available for all tester platforms and can be configured for any vertical technology, epoxy cantilever and legacy blade cards. DTS probe card blanks are made to precise specifications required for all probing technologies and are available in high speed and high temperature materials. All probe card PCBs employ a balanced layering construction to maintain tight flatness specifications and minimize warping, allowing good probe planarity. 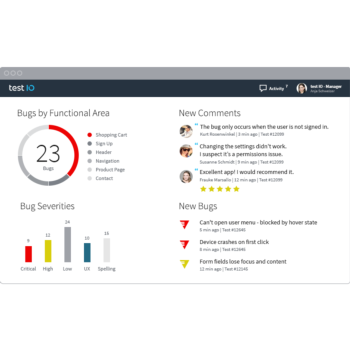 With test IO, you can combine the execution of predefined regression test cases with a broad-spectrum sweep for newly uncovered bugs, increasing your confidence every time you ship. Crowdtesting is a great regression testing solution when your code is changing too fast to automate all of your test cases. With test IO, creating test cases is as easy as uploading a spreadsheet, and our testers execute your tests faster than any in-house QA team. 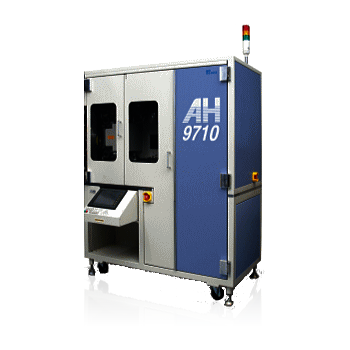 Vacuum Coating Online Thickness Monitor is a non-contact online thickness tester for coating aluminized film, use the principle of optical transmittance to monitor the process of vacuum coating machine and the production line of glass, has two kinds of methods to display: transmittance and optical density.The performance and precision are equivalent to German NAGY,American Ampro and other foreign brands. The TAB tape is sent from the supply reel (up) to the test site at any set pitch and positioned very accurately with respect to X and Y directions. Then the electrical characteristics are tested by the contactor which is connected to the tester. Based on the test results, the tested IC is sorted and the TAB is wound on the receive reel (down). All the processes are automatically performed. Centor Touch Star is the most advanced force gauge currently available, it has become the benchmark tool for force measurement. Functionality, accuracy formerly reserved for expensive and complex material testing equipment are now available with Force Gauges. 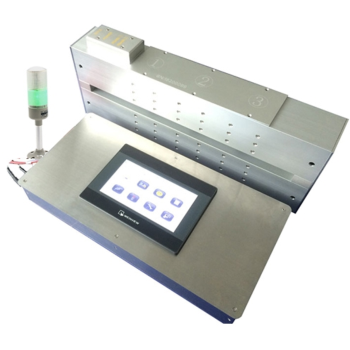 The functionality of material testers previously reserved for research or development applications are now available to the production floor with the introduction of the Centor Touch Force Gauge.